The Graphic was founded in December, 1869 by William Luson Thomas, a wood-engraver who believed that illustrations had the power to influence public opinion on political issues. He later recalled: "The originality of the scheme consisted in establishing a weekly illustrated journal open to all artists, whatever their method, instead of confining my staff to draughtsmen on wood as had been hitherto the general custom… it was a bold idea to attempt a new journal at the price of sixpence a copy in the face of the most successful and firmly established paper in the world, costing then only fivepence." William Luson Thomas was fully committed to social reform and he hoped that these visual images would have a political impact on the reading public. His biographer, Mark Bills, has argued: "The format of the paper offered artists an unprecedented opportunity to explore social subjects, and its images of poverty made it a catalyst for the development of social realism in British art. 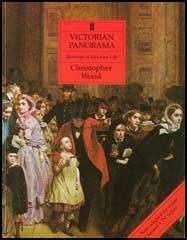 Many of the wood-engravings which it featured were developed into major paintings." 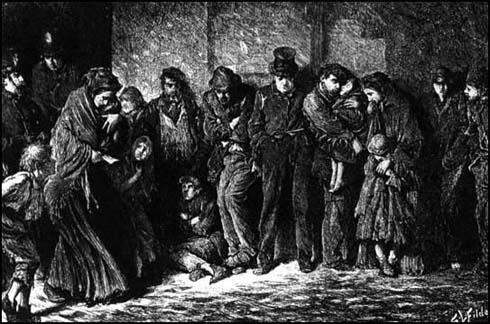 This included Luke Fildes's Houseless and Hungry, which appeared in the first edition of The Graphic. England's leading newspaper, The Times, argued that "William Luson Thomas did more … than improve illustrated journalism, he influenced English art, and that in a wholesome way." Another newspaper described him as "Fair-bearded till time and hard work silvered his hair… Mr. Thomas was a true gentleman - one, indeed, of Nature's noblemen." In 1889 Thomas and his company, H. R. Baines and Co, began publishing the first daily illustrated newspaper, the Daily Graphic. After William Luson Thomas died in 1900, his son, Carmichael Thomas, ran the company. Artists employed on the Graphic and Daily Graphic at the end of the 19th century and the early part of the 20th century included Sidney Sime, Alexander Boyd, Frank Brangwyn, Edmund Sullivan, Phil May, Leonard Raven-Hill, George Stampa, James H. Dowd, Bert Thomas and F. H. Townsend. (2) On the death of William Luson Thomas, one of his illustrators, Hubert von Herkomer, wrote an account of the importance of The Graphic to social realist artists.